Pension proposals -According to reports in the news, the government is looking to merge its four main public pension funds into one. Taiwan's pension system is in a process of transition and reform. In the realm of public pensions, there is a basic safety net for the elderly and schemes for civil servants, namely the Government Employees' and School Staffs' Insurance and the Public Service Pension Fund. For private sector employees, there are several occupational schemes. Labour Insurance consists of several types of insurance protection, among them old-age insurance, while the Old Labour Pension Fund is a specific pension plan. However, the latter is to be succeeded by the New Labour Pension System, established in 2005. Voluntary private pension savings are not specifically subsidised and mainly consist of life insurance contracts and other savings vehicles. A major reform took place in 2005, when the New Labour Pension System was introduced. It is a defined contribution scheme that is meant to solve the portability and underfunding problems of the Old Labour Pension Fund. Another recent reform measure is ongoing. A new National Pension, the relevant bill was passed in July 2007, will be introduced in October 2008. The new public scheme aims to provide a more comprehensive safety net and will integrate the fragmented old-age allowance systems. The reform discussion also focuses on converting lump sum payments into annuities in the Labour Insurance. A proposal is currently under parliamentary review. Like most other countries in the region, Taiwan's population is aging rapidly. The fertility rate, which was four children per woman in 1970, had dropped to 1.2 in 2005. While the old-age dependency ratio is currently quite favourable at 13, it will increase dramatically to 63 by 2050. The total population will drop from 22.8 million to 19.8 million in the same period. The New Labour Pension System will drive Taiwan's pension market. We expect that total assets in this scheme, which currently amount to EUR 3.7 billion, will show a CAGR of 28.9% until 2015. The social benefits system for the elderly is fragmented. Four different systems are in operation, which cover low-income elderly people, farmers and aboriginal people. As of July 2006, 70% of over 65-year-olds (1.6 million) have received monthly old-age allowances between EUR 70 (NTD 3,000) and EUR 140 (NTD 6,000). These benefits are financed by the state budget. Around 50% of recipients are covered by the old-age allowance. Eligibility criteria include an annual income of less than EUR 11,635 (NTD 500,000). The current old age allowance provides a replacement rate of roughly 7% of the average wage. Taiwan's government intends to integrate the fragmented old-age allowance systems. The new National Pension will gradually replace the different systems. The National Pension Law was passed in July 2007 and the scheme will start operation in October 2008. It will cover about 3.5 million people. Participants of other national pension programs will not be included. Contribution rates in the first year of implementation will be 6.5% of the national minimum wage; this percentage will be raised every two years to a maximum 12%. Participants will pay 60% and the government will contribute 40% of that sum. Contributions for low-income employees will be fully paid by the government. Retirement age will be set at 65. If members have participated in the system less than 10 years, they will receive lump sum benefits. Otherwise, they qualify for life-long annuities. Public sector employees are covered by two pension schemes that complement each other. The Government Employees' and School Staffs' Insurance provides disability, death and retirement benefits. It is a defined benefit scheme with a current contribution rate of 7.15%; employees pay 35% of that contribution, while the government and employers share the remaining 65%. Benefits are paid as a lump sum at the age of 65, or when employment is terminated after the age of 55 and participation has exceeded 15 years. The Public Service Pension Fund (PSPF), which dates back to 1943, is a mandatory defined benefit scheme for civil servants, teachers and military personnel. While the PSPF was completely financed by the government until 1995, this was changed subsequently. The contribution rate in 2007 is 12%; employees pay a 35% share, while the government and employers cover the remaining 65%. Contributions rates varied between 8% and 12% until 2006, when the universal rate of 12% was introduced. Members can retire at age 65, and early retirement is possible with more than 25 years of service. Payout options depend on years of service: participants with more than 15 years of service can choose between lump sum payments, monthly payments or a combination of both. Participants with less than 15 years of service receive lump sum benefits. While lump sum benefits are capped at 53 months' salary, annuities have a maximum replacement rate of 70% of the final gross salary. The main challenge for the PSPF is the aging of its members. According to actuarial studies, the scheme is significantly underfunded and the current surplus is not sufficient to cover future liabilities. The PSPF itself asserts that it may go bankrupt in 2035 if the contribution rate cannot be increased to sufficient levels or fund performance enhanced. There are three pension schemes available for private sector employees: Labour Insurance, Old Labour Pension Fund and its successor, the New Labour Pension System. Labour Insurance and the other systems complement each other and cover around 8 million employees, roughly 50% of the workforce. Labour Insurance was introduced in 1958 and provides two types of insurance: regular insurance (maternity, sickness, medical expense, injury, unemployment, old age and death) and occupational insurance (sickness, medical expense, injury and death). It is mandatory for employees between 15 and 60 years of age who work in companies with more than five employees. Labour Insurance is the largest occupational insurance scheme in Taiwan in terms of membership and assets. In late 2006, it had 8.7 million members and assets of EUR 10.2 billion (NTD 436 billion). The current contribution rate is 6.5%; the rate can be increased up to 11% without legislative approval. Contributions are capped at EUR 1,022 (NTD 43,900). They are shared by employees (20%), employers (70%) and the government (10%). The self-employed contribute 60%, while the government covers the remaining 40%. Benefits are paid as lump sums only. Their level depends on years of service and salary during the last three years of working life. In March 2007, the government proposed that lump sum payments be replaced with lifelong annuities; the bill is currently in the legislative process. If it is approved, the law could become effective in 2009. In addition to Labour Insurance, employers are obliged to contribute to the Old Labour Pension Fund that was introduced in 1984; employees do not contribute. Employers have to contribute between 2% and 15% of the employees' gross salary to the fund, which holds a separate reserve account for each participating company. The Old Labour Pension Fund is a defined benefit scheme with lump sum payments; for every year of the first 15 years of service, the equivalent of two months' salary is accumulated. For additional years, the equivalent of one month's salary applies. There is a maximum payment equivalent to 45 months' salary. The Old Labour Pension Fund has suffered, because only about 10% of the private sector workforce was eligible for benefits. This is the result of strict eligibility criteria and the structure of companies in Taiwan. To receive benefits, employees must have worked for the same employer for more than 25 years, or they must be 55 and have least 15 years of tenure with the same employer. However, average tenure in Taiwan is only 8.6 years, and the average life span of Taiwanese firms is 13 years. This is why the overwhelming majority of employees does not fulfil eligibility criteria and cannot receive pension benefits from the Old Labour Pension Fund, as the scheme is not portable. As a result, only employees of large companies or state-owned enterprises are likely to receive retirement benefits. Moreover, full funding of the Old Labour Pension Funds was not required until 2005, and employers often contributed the lower limit of 2% to meet the basic requirements. In light of the Old Labour Pension Funds' shortcomings, new pension legislation was passed in 2004. The New Labour Pension Act determined that employers must fund their pension liabilities by the end of June 2010. The core of the law was the introduction of the New Labour Pension System; Old Labour Pension Funds were closed to new joiners. New labour market entrants or those who change jobs must join the New Labour Pension Scheme. The New Labour Pension Scheme is a defined contribution system with fully portable individual accounts. Members of the Old Labour Pension Funds are given the one-time choice of either staying in the old system or joining the new pension scheme. They can do this during the switching period of five years, which will draw to a close at the end of June 2010. Employees have to be enrolled in either the Old or the New Labour Pension Fund. Each member of the New Labour Pension Scheme must set up an individual retirement account at the Bureau of Labour Insurance. Employers contribute 6% of employees' salaries (up to EUR 3,491 / NTD 150,000) to employee accounts; they can contribute more if they wish. Employees can voluntarily contribute up to 6% of their salary. Benefits are paid at the age of 60. If membership has lasted less than 15 years, benefits are paid as a lump sum; otherwise members are eligible for monthly payments. Companies with more than 200 employees can choose to provide pension benefits in the form of annuities instead of individual retirement accounts, provided that at least half the employees or the trade union approve. Taxation is based on the EET principle. Contributions and investment income are tax-exempt, while benefits are partially taxed. In the case of monthly payments, EUR 15,730 (NTD 676,000) a year are tax-exempt. The taxation of lump sum payments is progressive. It has not yet been decided whether there will be equity or foreign investment limits. At the end of 2006, assets under management in the New Labour Pension Scheme reached EUR 3.7 billion. The number of participants reached 4.3 million, a participation rate of 79%. The Labour Pension Fund Supervisory Committee supervises and manages the New Labour Pension Fund. However, as the establishment was delayed, the New Labour Pension Scheme has not been investing its assets, which have been idle in bank accounts for two years since the new scheme was launched. In July 2007, when the Supervisory Committee was finally set up, it announced that fund management would partially be outsourced to asset management companies, starting with domestic outsourcing mandates. 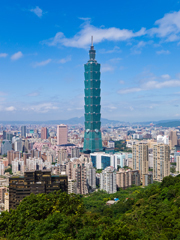 Taiwanese pension policy has laid the foundation for a reformed pension system. The introduction of the New Labour Pension Scheme and the introduction of the National Pension in 2008 will lead to a much higher coverage of the population. This is crucial, as Taiwan's retirees often rely on many different sources of income, as is the case in many other parts of Asia. While family support has been one of the most important components of retirement income, economic development and increased mobility have made it more difficult to ensure. For this reason, formal systems must now compensate.